Dr. Lawrence M. Spindel is the top dentist in New York today. A graduate from the New York University College of Dentistry in the year 1980, holding an honors degree, Dr. Spindel has been a dedicated dentist specializing in a variety of cosmetic dentistry services. His dental office is the leading name in the entire New York City, providing some of the most proficient and state-of-the-art treatment options to people. Dr. Spindel completed his general practice residence from the Manhattan Veteran’s Hospital in the year 1981. He then started his private dental practice in the city of Manhattan. Post 1982, he has been maintaining his private dental practice in different parts of New York, which includes cosmetic dentistry, comprehensive dental care and preventive dentistry. By Dr. Lawrence M. Spindel, DDS from Lawrence Spindel Clinic. The top dentist in New York, Dr. Spindel offers porcelain laminates or veneers to patients. It is the terrific method of improving your smile and getting back that dazzling and white appeal. It allows you to correct mild to moderate dental complications, thereby giving you a natural appearance. This is also most suitable for people having worn or missing positioned of teeth in the front line. 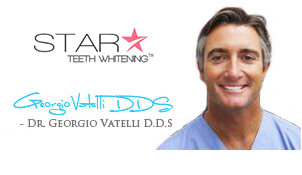 Teeth whitening is one cosmetic dental procedure that has been very much in demand since the time it was discovered. Because having whiter teeth is an important concern, the teeth whitening options offered by the top dentist in New York, Dr. Spindel has become a frequent procedure. Dr. Spindel provides in-office teeth whitening and at-home teeth whitening. It is a matter of choice for the patients and also the condition of the oral health. Zoom teeth whitening is popular with New York cosmetic dentists. The top dentist in New York also uses the Nupro Gold Whitening system that can produce great results. Invisalign is one of the best cosmetic solutions that have replaced the metal braces. You can now wear these transparent and fine removable aligners called Invisalign to straighten teeth. Invisalign is the most effective solutions that the top dentist in New York offers. At Dr. Spindel’s private practice, you can get excellent Invisalign solutions at great rates.